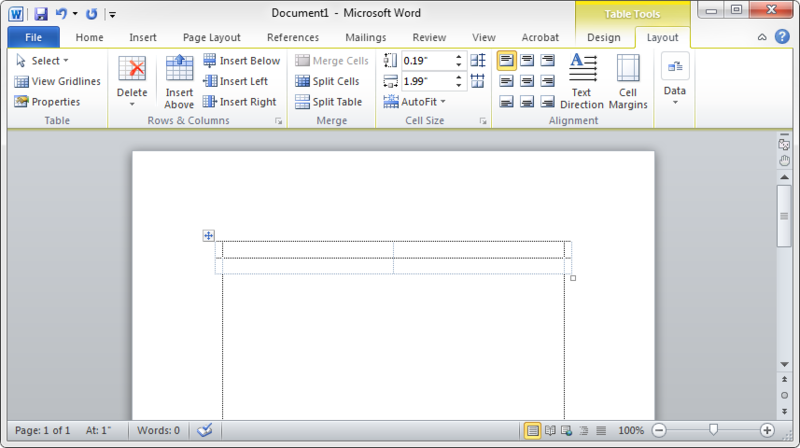 I'm pretty positive I was able to preview table borders in MS Word. E.g. table borders were visible on screen, but not printed on paper. I would like to get that behaviour back, but cannot find such option. You can enable View Gridlines under Table Tools > Layout when a table is focused. When no border is set, Word will draw a light-blue, dashed line in its place. 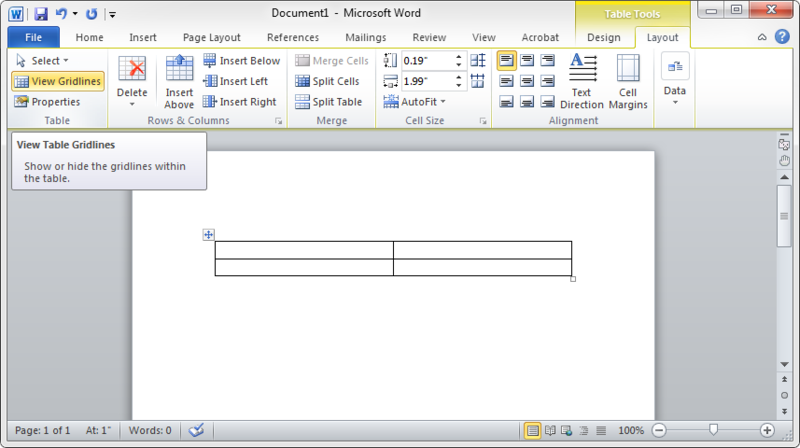 Word will draw table gridlines if you have Show text boundaries enabled under File > Options > Advanced > Show document content. 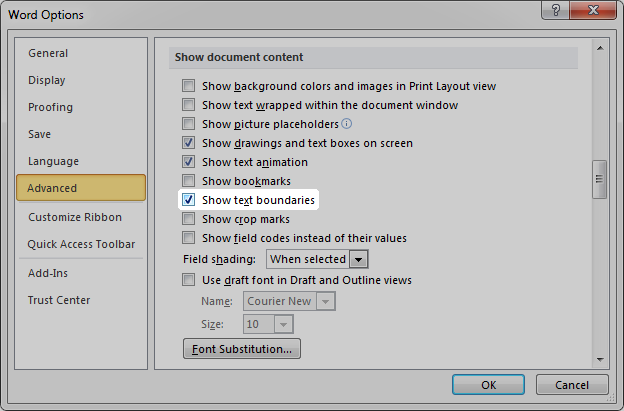 The View Gridlines option above only applies to tables while this applies to the entire document. Also, the lines are dotted instead of dashed. Not the answer you're looking for? Browse other questions tagged printing microsoft-word-2010 or ask your own question. How to find and replace special formats in word processors?